Please please please do not use JJ Moore Moving moving services or Executive Moving and Storage. They are unprofessional, terribly rude and more importantly, they are scammers. I was particularly pleased with the estimate I was given and I told them I would get back to them with a decision. The salesman, John C, kept calling me trying to convince me any way he could to choose them. 2 days later I told them I would use their service but I hadn’t paid yet. I got a call from another service who wanted me to pay a little more, but I felt pretty sketchy about j&j so I was going to switch. I call John to let him know but he kept pushing and pushing, so I finally agreed - I just couldn’t deal with the stress anymore and I told him this and that I was very unhappy with the service. I pretty much knew my things were at risk but I didn’t care so much because of the stress (I had a limited time to move out of my dorm and I didn’t have a lot of stuff). My move was for Saturday/Sunday and they gave me no information about who was picking my things up or when. I had to relentlessly call and email to get the information. (which I didn't get by Friday) They had Executive Moving & Storage to transport my things because turns out J&J is a broker. The guys who came to pick up my things were really nice and came on time but that was the first and last decent service I received. Until 2 weeks after, Exec didn’t offer me any information about when my things would arrive. I called them 2 Wednesdays later and they said my things would be in transit by Friday (4 more days) and the driver would give me a call; it would take 2-5 days from then. By next Monday, I gave them a call because I still didn’t hear from the driver, and Ashley of Exec Movers told me he should reach me Friday to deliver. Great, I cleared my Friday and had my dad time work off to help out. Then, I get a call from the driver on Wednesday that he would be arriving tomorrow 12-2; I told him that time definitely would not work because I had a really important appointment but I could do the morning or afternoon of that same day but 11:30-3 just couldn't work. He replied, “I did my job to call you I’m coming” “I don’t have to make no plans”, etc. The entire encounter was very rude. I called the office and explained the situation and they were also incredibly rude, I told them they could look into phone records and they would hear the customer service rep Ashley tell me Friday delivery; a manager even tried to tell me they emailed me to confirm (which they didn’t) so I asked her when and she said I was right and they did not. They just kept trying to get more money out of me. No apologies or sympathy, they were so rude as if I had done something wrong and I was a belligerent customer; I was nothing but kind and was sure to not be threatening. I had to cancel my meeting and then, the driver ended up coming over 3 hours after the delivery window. Basically, everyone at Executive Moving is incredibly rude, heartless, and so so dumb. I was lucky enough to get all my things but things listed fragile were not handled with care and many things were damaged. I never heard from J&J after I paid them their deposit. It is so worth it to use another company and I will be filing complains against both of these companies. They will literally just hand your things off to any business. Everyone involved was disgustingly heartless and dumb. This company is very unethical and horrible with customer service. Do not rely on these reviews, if you want real reviews check out their yelp page. I wish I had before booking with them. They are a broker company and will say anything to take your money. I was promised a pickup date and delivery date, which is why I paid more than any of their competitors to book with them. They initially charged me $2100 for the move and after I told them I was going to book with another company, they said that the "manager discount" was approved, so they would lower the price to $1799 for a "GUARANTEED" move in date. After I paid their portion of the moving fee, I never heard from them again. I called and emailed multiple times to figure out why no one was there to pick up my items and why no one delivered my items for days, they have yet to respond to any messages or emails. I literally had no bed to sleep in, no clothes, besides the little I brought with me, no dishes for food, etc. etc I never write reviews but this company is the WORST! Trust me, do not book with them! THIS COMPANY IS A FRAUD AND A SCAM! Please email me directly through Yelp (Abi A under their reviews)- my father is a federal attorney he wants EVERYONE who was hurt, lied to, and cheated/scammed out of money to PLEASE contact me so we can build a case and get this business shut down for their fraudulent behavior. Also, go to https://www.fmcsa.dot.gov/protect-your-move/file-a-complaint and FILE A COMPLAINT DIRECTLY with the Federal Motor Carrier Safety Administration. THE MORE PEOPLE FILE A COMPLAINT, THE FASTER THEY WILL HAVE INVESTIGATORS LOOKING INTO THIS MATTER ! You can call the Federal Motor Carrier Safety Administration directly at 888-368-7238 (select option 9) if you have any questions or need help filing out the complaint (though it can be done entirely online). My father is also making himself available via phone if you have further legal questions, just reach out to me for his info. LET'S GET SOME JUSTICE FOR THESE SCAM ARTISTS!!!! Biggest crooks and thieves I’ve ever dealt with. Do not use them. They will steal your money, raise rates, not return calls. Worst company ever. Never did any work and kept my deposit after canceling on time. Not even BBB accredited. These guys were great! Very responsive via phone/email when getting everything set up. I really appreciate everything the J&J Moving team did to make my move easy and comfortable! I highly recommend them! I’m happy with their service. They got the best van for me and within two hours, they have loaded all my belongings. I have four kids and we have a lot of things to move. My wife was thinking of how to dispose some things but we never had to. J & J handled the movement nicely and they were very helpful. We got all our things with nothing broken or damaged. Love this company. Seems I'd like to move around LA a lot, I always call J&J company for help. And this company definitely deserves 5 star. very Helpful! WOW! My sales rep Michael Pierce was spectacular. I would assume he is Asian because his attention to detail was incredible. This company went above and beyond to make my move very simple and easy. ASK FOR MIKE! HE DOES YOU RIGHT! I’m not really a fan of writing reviews but I felt I should write my experience with J & J. I was very impressed with their professionalism and assistance. I called them and they missed my call, and within few minutes, they called back and apologized for the missed call. 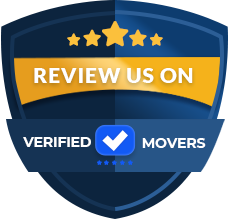 They were very professional all through my dealings with them and when it was time to move my things, they came on time and were very efficient. I will recommend them to anyone. We recently used J&J Moore for a local move here in Jacksonville! They were absolutely incredible. From their speed to their level of communication, everything could not have gone more perfectly. They truly value their customers and their work ethic is effective and professional. Our belongings were moved in a timely manner with precise ease and grace. Nothing was damaged! Thanks guys! Will definitely be in touch in the near future! Hired J&J Movers to move my 2 bed apartment in Chicago, and I was extremely impressed. The team lead called me 30-45 minutes before they arrived, and they were very careful to walk through everything with me. I was appreciative of the fact that they took the time to ask exactly what I wanted moved and did everything extremely efficiently-even though it was so hot and in the afternoon. They were extremely courteous and professional. Very well-spent money on a moving company. Could not have asked for better service. This company is top notch. 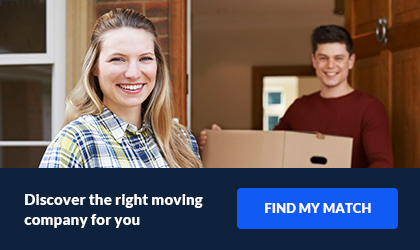 I would highly recommend if you need a cross country move! AL OF THE GOOD REVIEWS ARE FAKE. These people are as unscrupulous and underhanded as they come. They hand off your furniture to other companies spread all over the country, and by the time you realize how badly you've been ripped off they've insulated themselves from all responsibility. Each company blames the other. The ruthless liars we dealt with were named Jack Medvedev (out of Nashville), Nicholas Brown, Josh Miller and Gabby London (the worst liar of all) from Boynton Beach, FL. After they reel you in with a low-ball price and get your deposit, they begin adding so many charges that it ends being twice what you would pay with a reputable company. Without your knowledge they will mark everything on the pick-up list as chipped, torn or scratched. That way you have no recourse once you realized that they broke your furniture and failed to deliver some of it. They are such a nightmare I'm considering calling the attorney general to request an investigation. When they said they'd pick up my boxes between 1:00 and 3:00, they weren't kidding! They came right at 1:00 and were out the door with them in no time, arriving at my storage facility about 90 minutes later. Just after pick-up, someone from the company called me to say the truck was on its way. The paperwork was handled quickly, but with a full explanation of the charges, which were exactly what was quoted in the estimate. Their phone operators are professionals, taking down your info accurately and stating the company policies so you know what to expect. This was my second move with J&J Moore and I'd feel confident about using them again. JJ Moore went above and beyond to help me move my belongings across the country. I had a fair sized load traveling from Washington all the way to Massachusetts. It took about 16 days for my stuff to arrive and they got me picked up and on a truck with a last seconds notice. If i ever need to move again you can bet ill be calling Michael over at JJ Moore. We would highly recommend J&J. All of our experiences were great, from the first meeting to obtain an estimate, to the very last when they came to pick up our boxes. Absolutely everyone was professional, helpful, friendly and very respectful and careful with all our belongings. We had a fairly large household to pack and move, including heirloom china, artwork, large furniture pieces, yard items and even the contents of a 3-stall garage. They were well-organized and extremely careful with everything, from packing, to moving out, to moving into the new home. We were dreading the moving process but it turned out to be smooth and according to plan; nothing damaged or broken, no problems and no surprises. We actually had some fun too because the people were awesome. If we ever move again, we will absolutely use them again, no hesitation whatsoever! Worth the extra money that I paid! Thanks guys for all of your help - this process was super simple. The delivery took a little longer but they communicated with us the whole time. KEEP IT UP!! Very satisfied with J&J Moore. This was our first time moving as a family (wife and three kids) and thankfully everything went as planned. All of the employees were knowledgeable, good at what they do, and friendly - you really can tell they actually care about their jobs and their customers. The owner of the company, justin, reached out to me a few times as well to make sure my wife and I were stress-free. That was incredible to me; as it's not often that you find a company as large as J&J that still maintains a mom-and-pop type feel. Move day went smooth. With the amount of furniture we have, I was expecting this to be an 8 hour ordeal. But, the crew was exceptionally efficient; I actually enjoyed watching them work. I offered to help; they declined of course. Then, on delivery day, they took their time reassembling everything and placing it around our new home exactly how my wife wanted it. As a matter of fact, the more I think about it now as I write, the more impressed I am with this company. Everything was awesome and we couldn't be happier. Highly recommended! I want to thank these guys for their efficient services in moving my family's stuff across the country to Dallas. The truck with the crew arrived yesterday to our new residence. Their crew packed and handled my furniture and my fragile items with so much care that everything arrived in great condition and we are so happy for that. The office staff was very responsive and courteous and they were able to provide me with updates of my belongings. JJ Moore did what they were supposed to do. I was charged an extra 150$ for a long carry fee but other than that small misunderstanding everything went great. Communication was good and the entire move process was smooth. J and J Moore Nationwide Van Lines moved our home from Los Angeles to Sacramento. They were quick and efficient and made sure that none of the items were damaged or broken. Thank you J & J Moore Nationwide Van Lines. Great company! J&J Moore goes above and beyond for their customers! Great customer service! They helped me with a recent move from PA to FL and they walked me through everything! I highly recommend using J&J Moore for any moves weather it’s short or long distance, they get the job done! Thanks again J&J Moore! 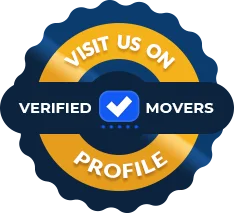 I am a seasoned veteran when it comes to the moving game having moved four times now, so I understand that a very smooth move across country comes with a few problems that may seem like a big deal but in the big picture they are very minor compared to what some of these small time moving companies are doing to people. J&J got everything done in a timely manor with very minimal upcharges. They communicated with me through the entire process. Ryan seemed very smooth at first but educated me more and more through out our many phone calls. Customer service team was great at pick up and delivery. Please do your research on the bigger picture when choosing your moving company. I will continue to use J&J and recommend them for sure! J&J Moore Nationwide Van Lines made my move from Mississippi to Arizona simple and stress free. We have a large family so I was concerned that this whole process was going to be very difficult. Fortunately, J&J Moore went above and beyond to make the whole process easy and simple. I am happy to take a few moments and especially thank the Customer Service guy Nick and my sales rep Rudy for keeping us informed throughout the move. Outstanding Moving Experience with J & J. I had to move for a new job from Dallas to Las Vegas. It can be both costly and very stressful but J&J found me a great price and also great in making sure everything was delivered on time. I do not write reviews often... but I had a bad experience moving to California so its important J&J Moore Nationwide Vanlines is recognized for there outstanding work HERE. The customer service, and pricing was the best I found. Thank you so much! I will recommend to all of my friends and family! I used J&J Moore to move from NJ to southern California. Ryan Dougherty personally worked very closely with my wife and I! The whole move went smoothly and I was in constant contact with Justin and Michael from the day I booked right up until my belongings were delivered, giving me peace of mind and keeping my wife at ease. 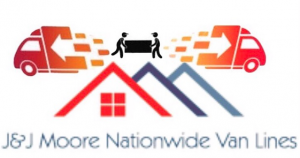 I'd recommend J&J Moore Nationwide for anybody needing to move. And, judging by the horror stories I've heard about other moving companies, I would strongly discourage hiring anybody else! Thank you Ryan, Nick , Gabby, and the whole Moore Nationwide team... I now understand your reputation. And you guys truly are family! After being bombarded with phone calls and emails I decided to give Ryan Dougherty a call back over at JJ Moore seeing as his voicemail seemed the most professional. Man am I glad I did so! I have dealt with brokers as well as large moving companies in the past and I must give a round of applause to the crew over at JJ Moore. They handled my move with the most honesty, communication and respect that I have seen from any moving company before. I highly suggest these guys and even if they are not for you at least listen so you can make the best decision for you because they know what they are talking about! Keep up the awsome job! Great company! J&J Moore goes above and beyond for their customers! Great customer service! They helped me with a recent move from PA to FL and they walked me through everything! I highly recommend using J&J Moore for any moves wether it’s short or long distance, they get the job done! Thanks again J&J Moore! J&J Moore helped my parents with their move from Maryland to Florida. Everything went as planned and they were only charged extra $100 for packing materials. Everyone was great and customer service was keeping us updated throughout the entire move from the initial verification to the pick-up and delivery dates. Very pleased and definitely be using them again. J&J Moore helped us move from our old home in Philly, PA to Baltimore, MD for only $3,500. There was a couple of damaged, missing items, however the customer service was so wonderful that after speaking with a representative from customer service, Gabby, all items were replaced quickly. Gabby took us through the claims process and everything went smoothly from there on. Very satisfied with this company and would definitely recommend J&J Moore and Gabby. J&J Moore Nationwide Van Lines was one of the easiest moving companies I’ve worked with. They were efficient, answered all of my questions and nothing was damaged throughout my move. Their customer service was great as well. I would definitely use them again. Great company for all your moving needs!!! Was very pleased with the customer service. Definitely will be using them again in the future, and would strongly suggest anyone looking to move to use them. Overall - this company stepped up to the plate and picked us up in less then 24 hrs after another company cancelled on us. I cant thank these guys enough for everything they were able to pull off for us. Love love love the job that J&J Moore has done for me and my family! Everything shipped on time still in tact. Very nervous when it comes to my things but gave this company 1% of my trust and they definitely returned the other 99!! I got a job in Houston, Texas and we needed to move our stuffs at once. I had two weeks to move because of the resumption date of my new job, so I was quite jittery about not meeting up to the deadline. I contacted J & J and gave them the details of the move. They promised to get back within two hours and in one hour, they contacted me. We arranged everything, agreed on the fee and our stuffs were nicely moved and delivered. They did a good job, really. The movers were good. J&J Moore came through on their end. It was put together really well. J&J Moore kept in contact with us to make sure we were good to go with the dates of the move and how the process was going to happen. We overestimated to make sure that we wouldn't have any extra charges when the movers arrived. We stayed in contact about everything in the house as far as how big of a truck we would need. I have already recommended J&J Moore to others. Well, I have to give my review for the exceptional service I received from this company. I needed to move closer to my sick dad in Boston and fortunately, I got a job there. I had to move as soon as possible to be with my dad during his major surgery. I called J & J for the move, and after some back and forth on negotiation, we agreed on the date of move. I was a bit anxious because of some negative reviews I read about them but they surprised me. The movers came at the agreed time and packed everything in a clean manner. I’m fully settled in Boston now and all thanks to J & J. This moving company is great. Professional, courteous, treat your items with utmost care. I used them for long distance move and the experience is positive in every aspect. They are highly recommended. My wife and I decided to do something different and leave Tampa after realizing that we wanted to get a bigger house. Now one thing that has always been an issue with us Is that we love new furniture and decorating. So with that being said, we buy things that we sometimes don't need, but our place is always festive and up to date. We contacted J&J Moore who helped us make this move possible and so much easier. They did a lot for us, even helping us throw things out that we no longer needed and my parents came by who offered to help, but by the time they came; we were almost done. That's how fast they moved. Very impressive and hardworking team! I would recommend J&J Moore Nationwide van lines to anyone looking to move. The brokers were very diligent and friendly. They walked me through my move every step of the way. Finding a company you can trust this day in age is priceless. I never had any doubt in my mind that my move would be compromised in any way. Thank you to everyone involved!! These guys are amazing!! They took extra care of my stuff, packed everything very carefully and were very respectful the whole time. They take care of all the things. You don't have to worry about any of your items. No missing items or damages. I will recommend you highly without a doubt in mind. Fantastic Moving Experience with J & J. I had to move for a new job in less than a month from Southern California to Chicago. I knew it could be both costly and very stressful but J&AJ found me what I thought to be a great price and was equally efficient in making sure everything was delivered on time. I’m not much for writing reviews but I had a bad experience moving to California so its important J&J is recognized for there excellent work HERE. The customer service, professionalism, and pricing was the best I found. DO NOT AND I MEAN DO NOT USE THIS COMPANY!!!! They are a broker and will not let you know until after you have already paid a deposit. My move was an absolute nightmare! They set me up with a shady company called American Eagle Moving & Storage and I didn’t know until the day of the move. This so called business has no work ethics, integrity, customer service, and no sympathy whatsoever for what they have done! They called me the day before my move and raised my weight by 300 lbs and charged me an extra $400! Needless to say my items came back 564 lbs UNDERWEIGHT! They say you will get your money back for the difference which they only gave me the .55 per pound, but they won’t give you back all the binding fees that they add in there! They tried to then give me the price they first quoted me but that was still for a weight that was much more than what my stuff actually weighed! A lot of my items got broken and damaged! All the good reviews have to be fake or friends of the company! I will be getting a lawyer for what has happened to me. I am going to social media! News outlets! Anything to let people know not to use this company! J & J Moore has screwed over the wrong customer! HEED MY WARNING DO NOT USE THIS COMPANY THEY ARE SCAMMERS! THEY WILL BAIT AND SWITCH YOU, AND SET YOU UP WITH A COMPANY THAT ARE SCAMMERS TOO! I will be writing a review about American Eagle moving as well!!! Two brothers started J&J, with them growing up in a military family, moving cross-country was something regular. They also made it their goal to to dedicate their entire careers to be a full-service moving company. J&J Moore Nationwide Van Lines strive to turn a chaotic time like moving into a pleasant one. With the brothers having over twenty years of experience in moving companies they have seen it all, and with all the good, bad and ugly, they took everything they learned and tried to incorporate it in the values for J&J Moore. This company offers local residential, long distance and office/commercial relocation. They offer services for partial or full packing. If you have not moved in the past, you might want to consider having the professionals do it for you! Every move comes with disassembly of large furniture and pad wrapping it for safety, and assembly. If you are looking for either a full pack or a partial pack, they can aid with this! Let them lend a hand with your packing so you do not have to lift a single finger. It will be worth it to know each and every box and piece of furniture is safe. Since all employees go through extensive training, they know just how to pack your belongings to ensure they stay safe the whole way! They also have short and long term options for storage in twenty locations across the nation. J&J Moore Nationwide Van Lines is a fully insured and licensed broker. They can take all the stress away from your move. J&J will have someone there to answer all your questions and safely and get all your goods to your new destination. They do all of this so that you can start the new chapter of your life stress free. Do not waste your time on companies that will just end up giving you a headache! J&J Moore has exceptional testimonials and are set to help you today!